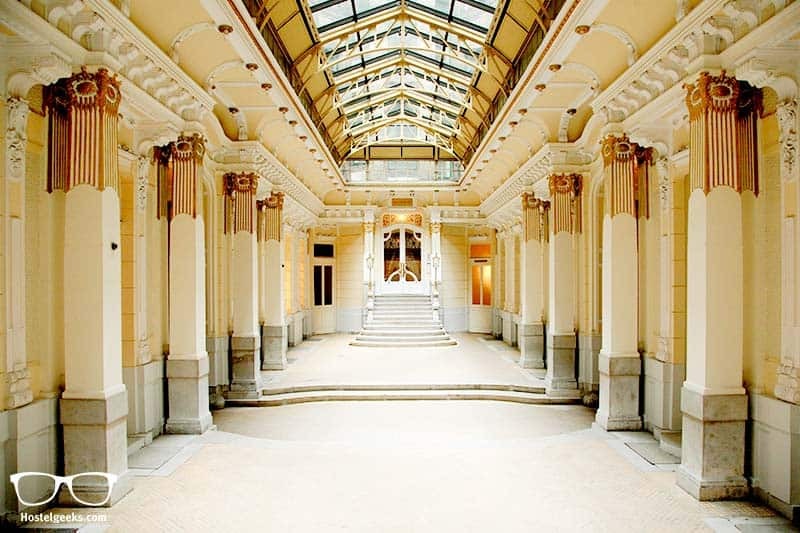 Many hostels in this world are located inside beautiful architectural buildings, even monuments. We had a look around. After staying in more than 500 hostels, we have stayed at inspiring hostels. Hostels, that made us start Hostelgeeks.com and change the branding of the overall hostel image out there. 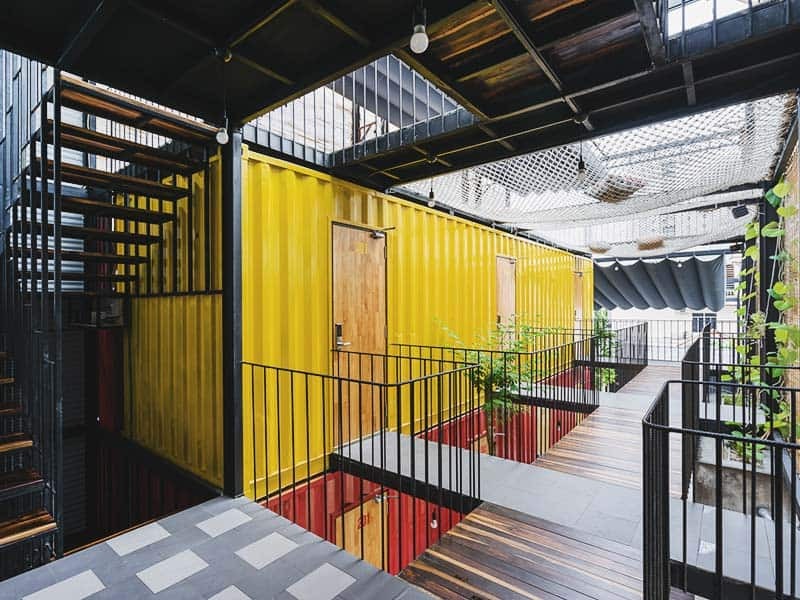 In this article we share more than 12 works of architecture related to Hostel design. Some buildings were abandoned buildings. Others are actual monuments. 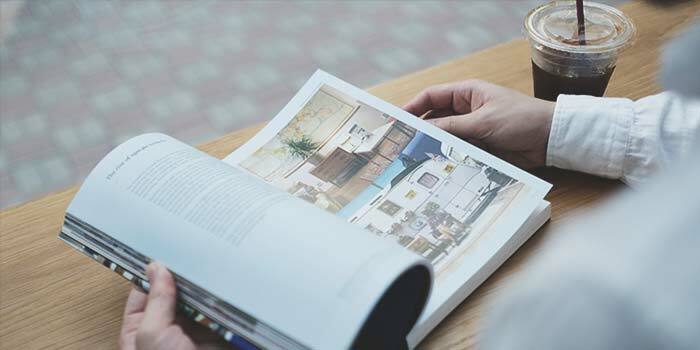 This is your resource to get inspired to build your own dream hostel. 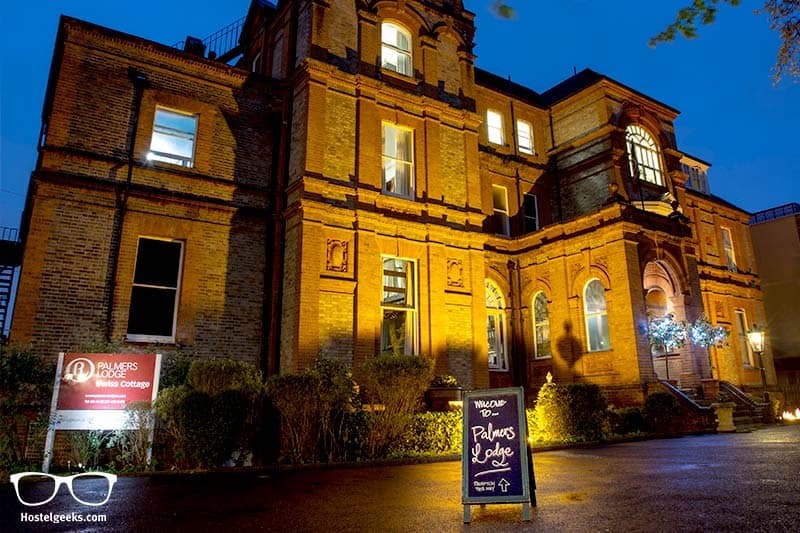 The recently renovated Victorian mansion of Palmers Lodge Swiss Cottage boasts charm, comfort, and creativity that will have you saying “this is so wonderfully, typically English”. It was originally home to Samuel Palmer of Huntley & Palmers Biscuits before it became a hospital during WW2. After its abandonment for almost 50 years, it was re-opened in 2006 and received a fantastic refurbishment by the architect Robert O’Hara. 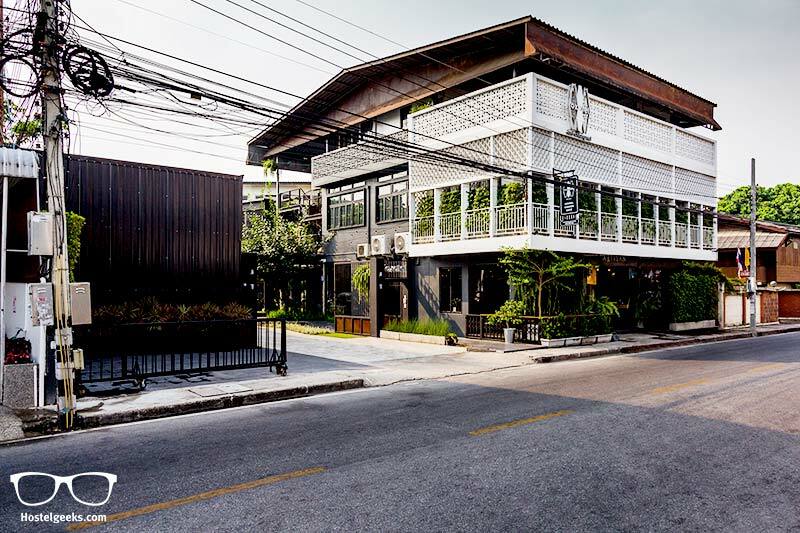 Oxotel is the only 5 Star Hostel in Chiang Mai. The designer and architect behind is Poo, a close friend of me. I absolutely admire his work. 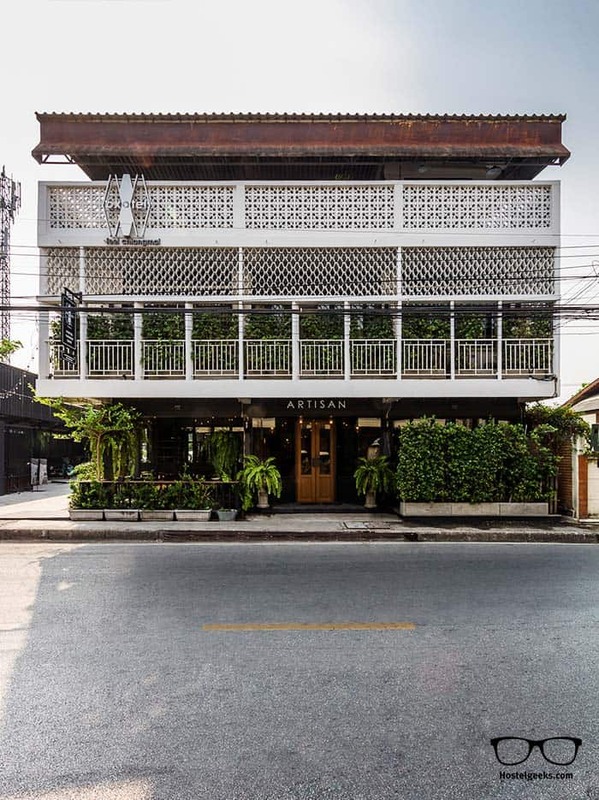 When they were looking for a building to build a hostel, they found an old 3-store thai building that had the perfect conditions. The building was completely renovated. They even kept track of its Oxotel development. Today you can get an idea of what the house looked like before. The house in front of Oxotel was exactly the same before they renovated it, and turned it into the 5 Star Hostel as we know it today. Oxotel is a 5 Star Hostel Resort. This is the result of combing a 3-store building with landscape design. Whilst we are talking about design, it is worth it to mention the stylish building from the outside. 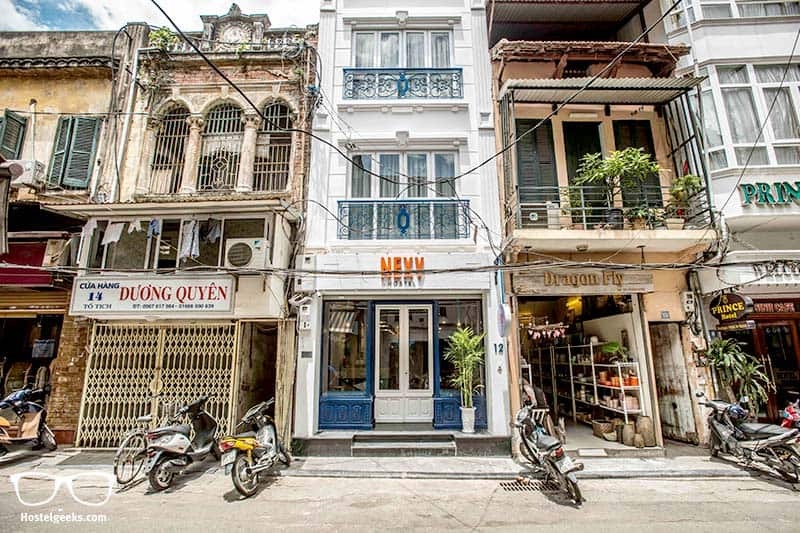 The abandoned building was completely renovated and turned into the only 5 Star Hostel in Hanoi. All that, from scratch. 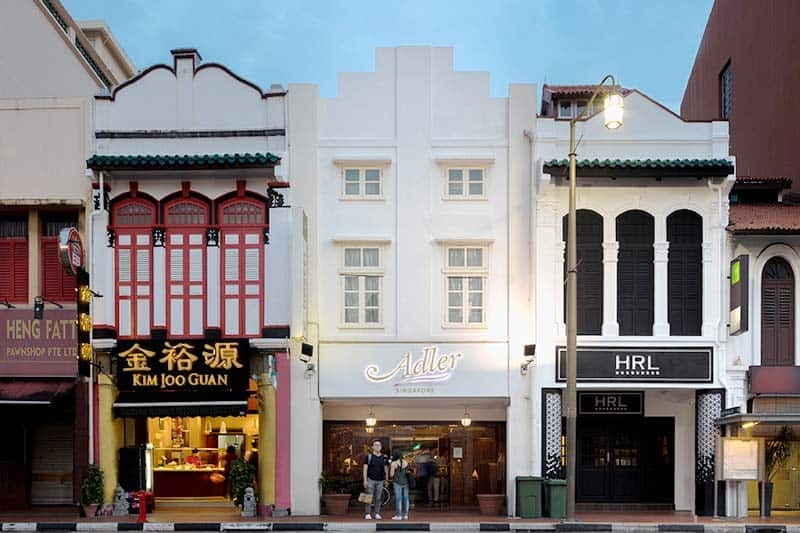 The property is located right at the edge of the Old Quarter, tucked in between iconic buildings. The white facade with its orange-coloured logo highlighting NEXY gives the building a striking pop out affect. Since its opening, the hostel has expanded to a new building, just two buildings next to the main one. Here you have the breakfast lounge and the spacious dorms with double-beds. When it comes to hostel architecture, the CCASA Hostel is always there. 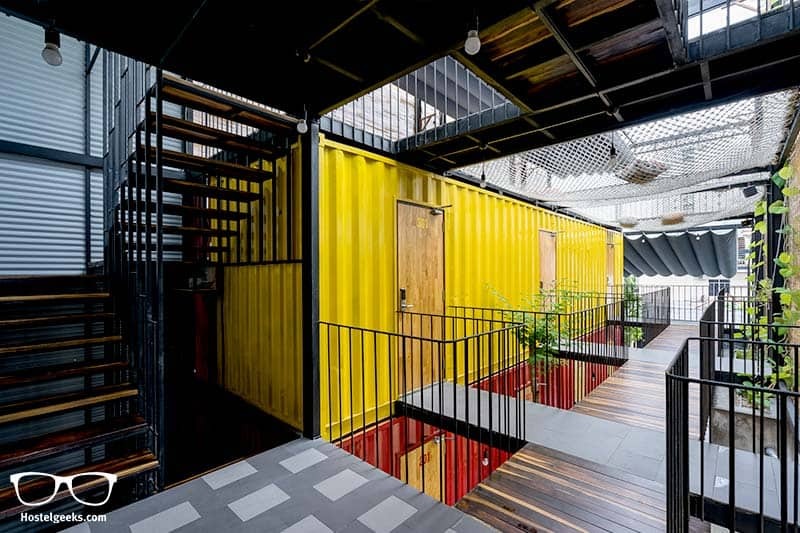 This is one of the most iconic hostels in the world, built out of 3 former shipping containers. Even Hostelworld picked up on the 5 Star Hostels and shared the Hostelgeeks Photos, calling it a “Tetris Hostel”. 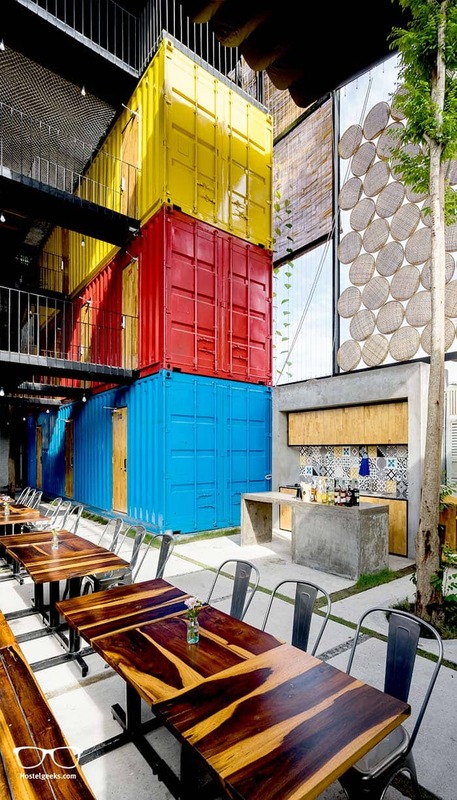 Three Shipping containers in red, yellow and blue are there to provide a good-night’s sleep, and an open space to socialize. When coming out of your bedroom, you will be walking on open and luminous stairways flanked by beautiful green trees and vines. 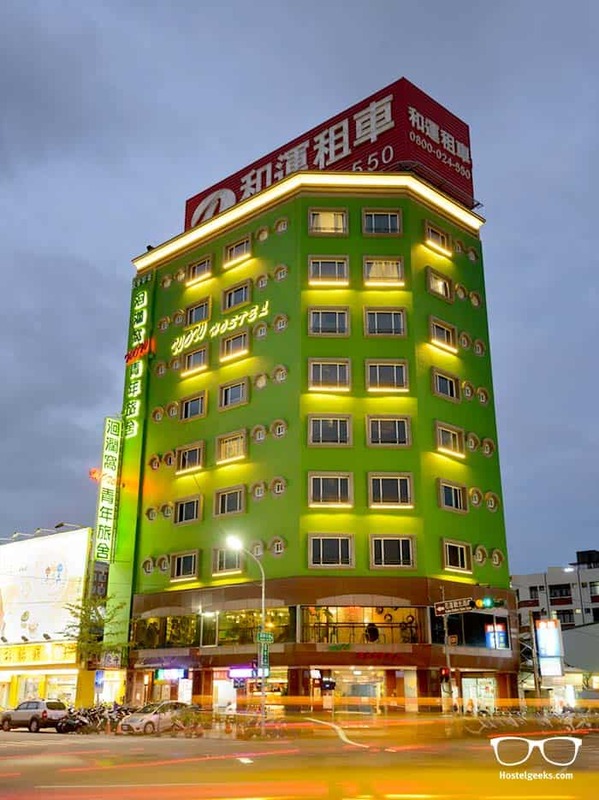 The design of the 5 Star Hostel is a quiet combination of classic and modern. 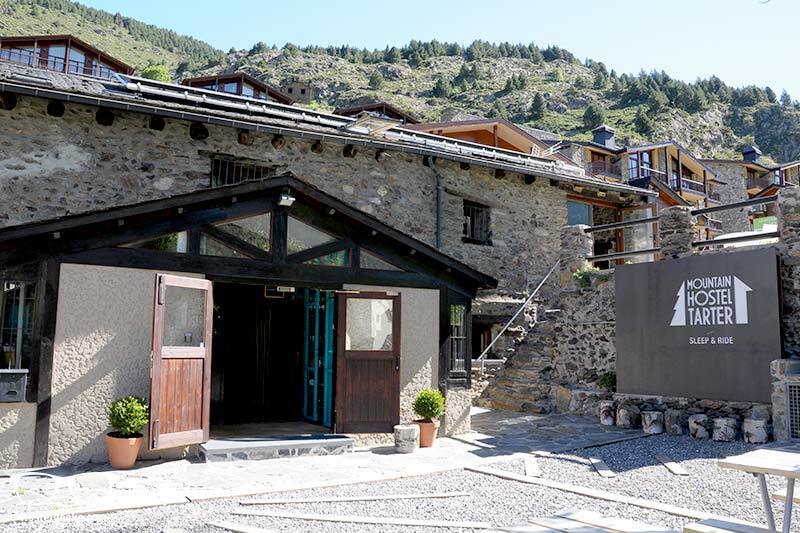 The main building is the Chalet, and it is more than 200 years old. It is a big Swiss cottage, a classic, beautiful piece of old architecture, giving you a classic vibe. The stucco in the hallways is also a wonderful small classic touch. The new building is directly connected with the cottage. Whilst walking around inside it is possible that you will lose track of which building you are in! The new, anthracite colored building was constructed in 2009. 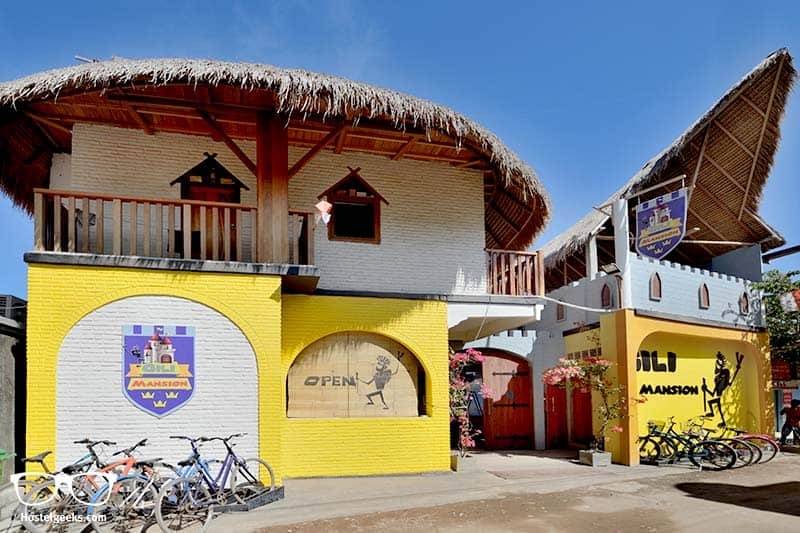 The Villa is a hostel to be certified with the 100% climate neutral label of myclimate. Same as Mosaic House in Prague, the Villa produces 0% emissions. 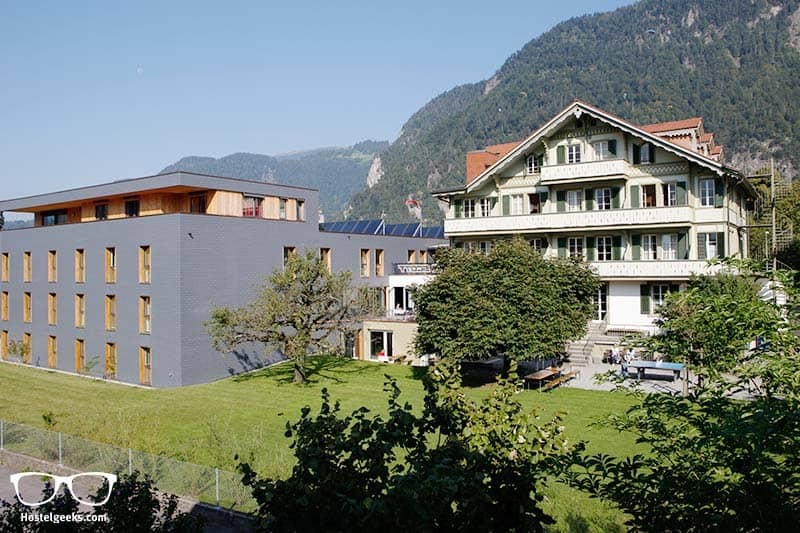 For a hostel this size, this is a big contribution to climate protection. How do they do that? The 5 Star Hostel runs on nature-made water power. The hostel has the finest technology in order to avoid emissions and keep track of the saved energy. Although it goes most of the time unnoticed, these water saving tab installations are an efficient energy-saving installation. Powerful solar panels are used for warm water and heating. Minimalist, Masculine, fresh! Welcome to Hektor Design Hostel in Tartu, Estonia. If a Hostel could better fit a gender, the Hektor Design Hostel would represent a strong, male model. This is how the architects and designers saw it right from the beginning. 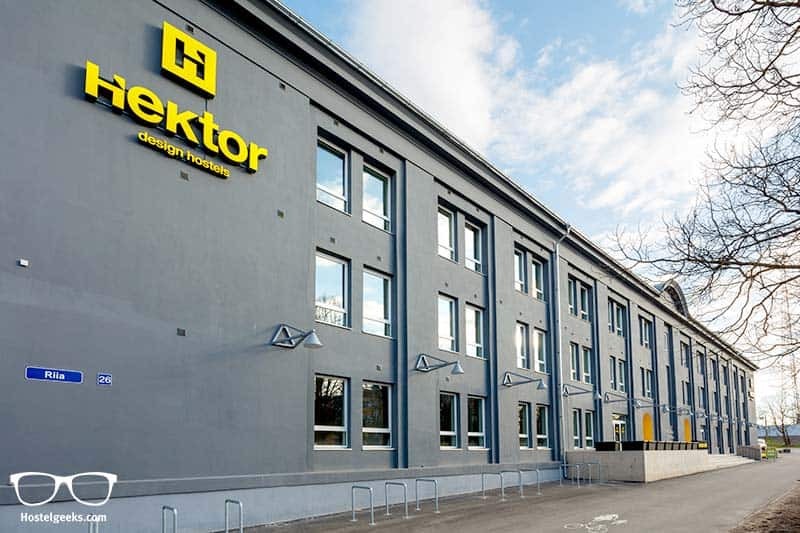 The building of Hektor Design Hostels is enormous. Was it built for being a hostel? 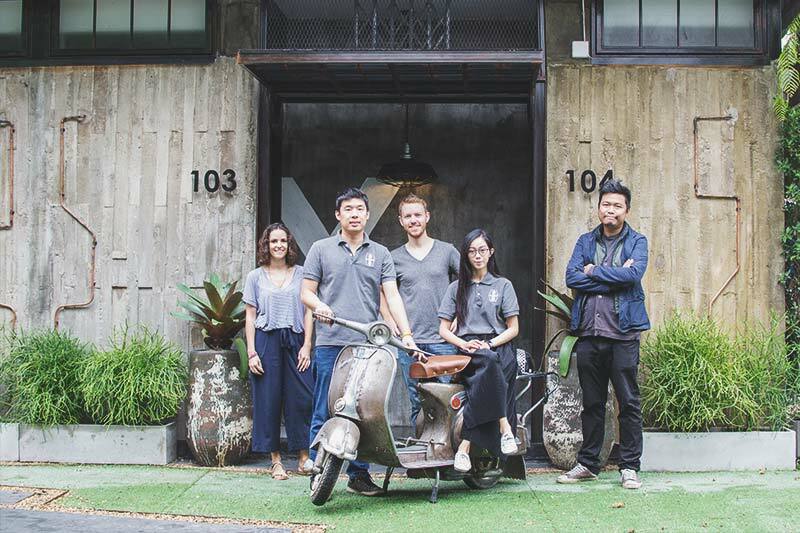 Not exactly – the Hostel is located inside a former commercial space & warehouse, built in the 1950s. The building has its own, unfortunate history; once it was a department store, and did not succeed. 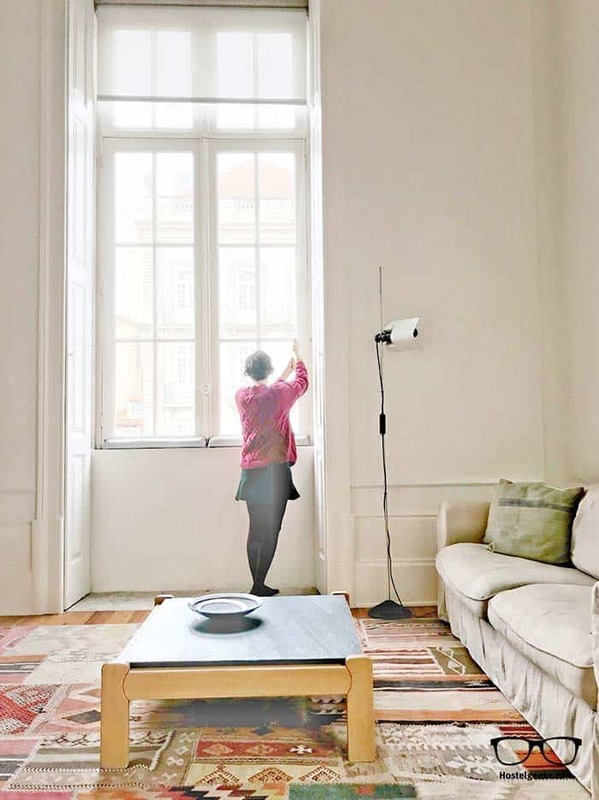 Another investor tried it with a shooting ground in the basement – no success there either. The owner of the Hektor Design Hostels is a real estate developer. Before starting over with the building, the owner traveled a lot. He stayed in hostels in western Europe (e.g. in Berlin & Barcelona), and he had a close look on what the new, modern hostel is up to. How to build a handmade hostel in the form a mansion? The owners of Gili Mansion on the island of Gili Trawangan in Lombok, Indonesia show how it is done. The hostel looks literally like a castle from the outside. And there is even more luxury added inside the place. 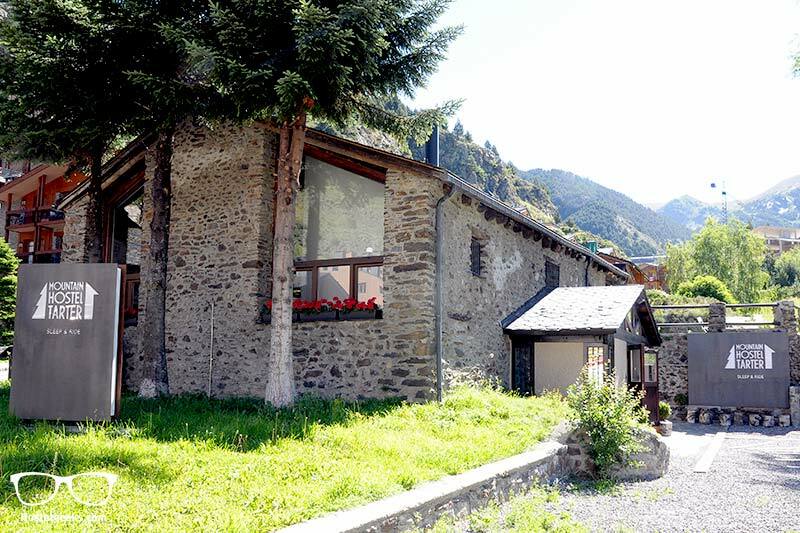 The rustic farm house from the 18th century combined with those colorful elements, makes Mountain Hostel Tarter a trendy lifestyle hostel. It is carefully designed with a blend of modern yet traditional feel. We visited Mountain Hostel Tarter. We sat down with Mar, owner of the property. She shares in our video the ideas and concept behind the hostel. 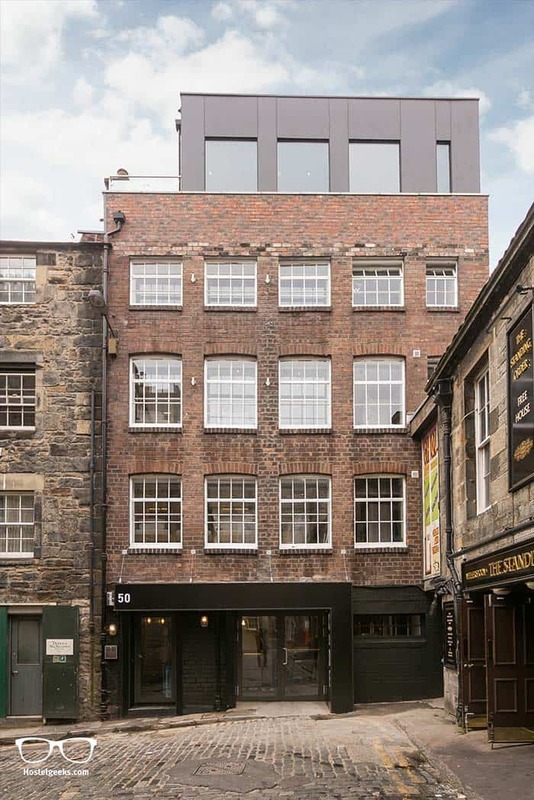 The design of the 5 Star Hostel in Edinburgh is unique, and there are no bunk beds at this hostel. They found a new, modern way to accommodate travelers in a stylish dorm: pods! 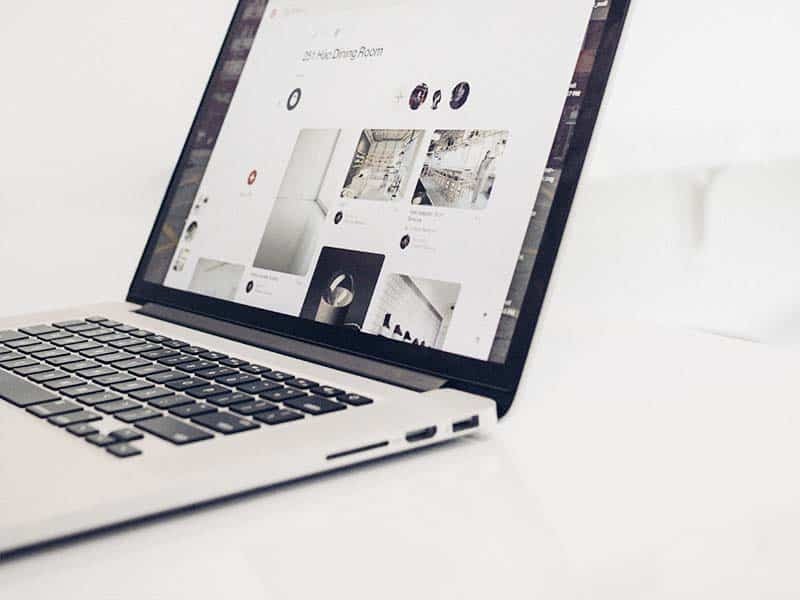 Staran Architects, a local architecture practice, are the designers of CODE Hostel. The design features a contemporary, ‘industrial chic’ look.The architects and the hostel team have converted and extended a unique red brick period building to create the hostel. Previously the building was unoccupied and abandoned. More photos and information of CODE Hostel. 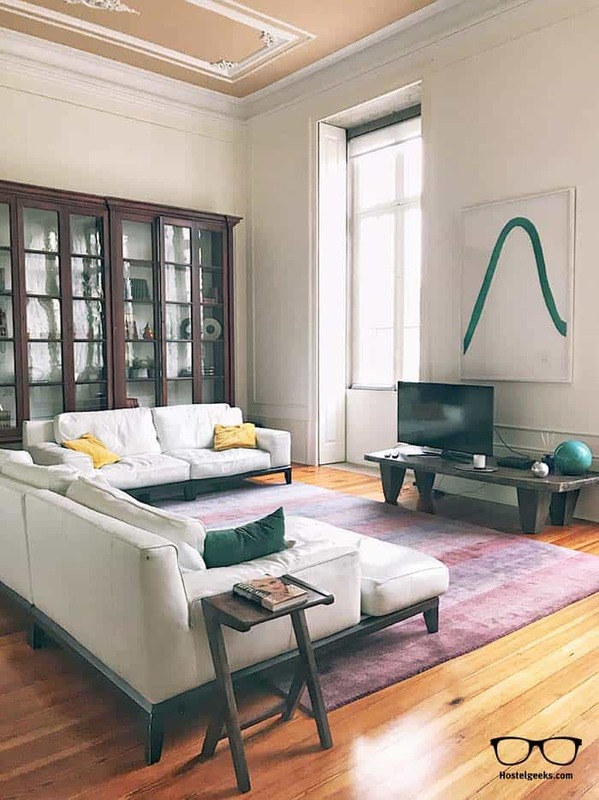 As mentioned in the intro, there are hostels actually located inside a monumental building. Now, this is the Cadillac of hostel architecture. 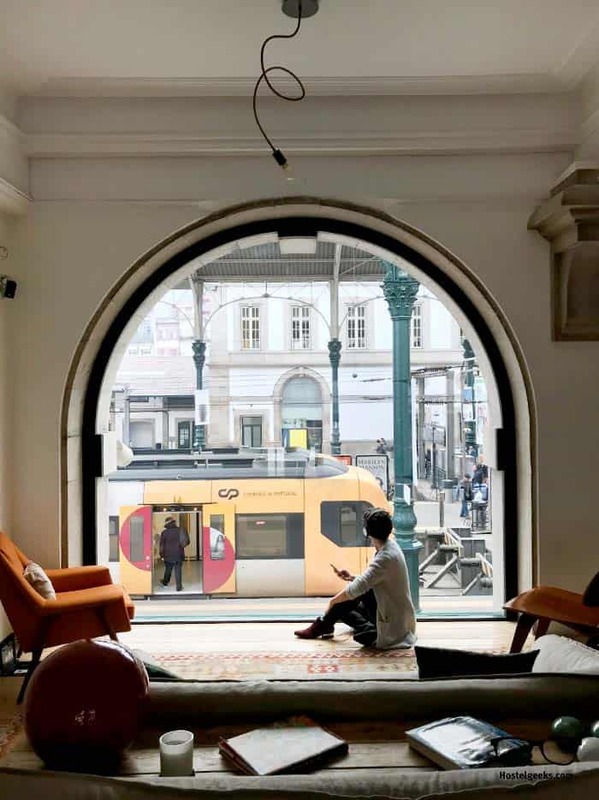 I want to end this list with a stun whopper hostel that every hostel lover has to visit: The Passenger Hostel in Porto, Portugal. 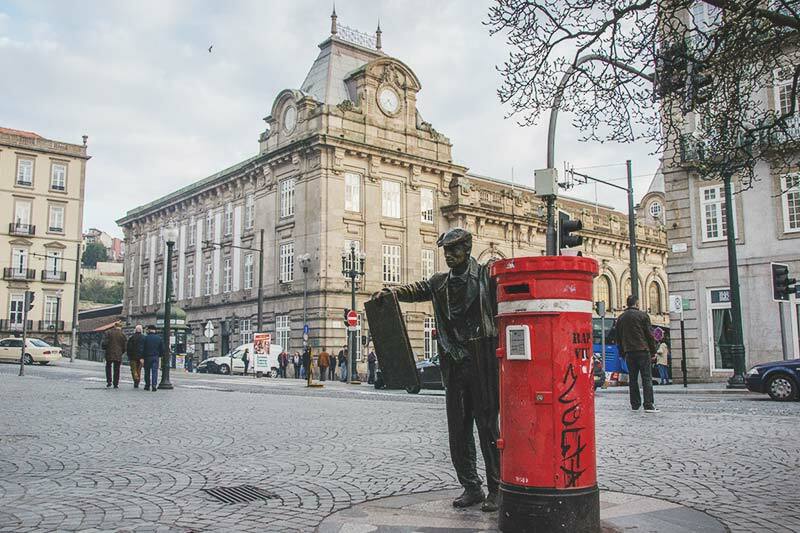 The hostel is located inside the monument of Sao Bento Train Station, a sight itself. It is the left part of the building. The clock tower in the picture below is also part of the hostel. 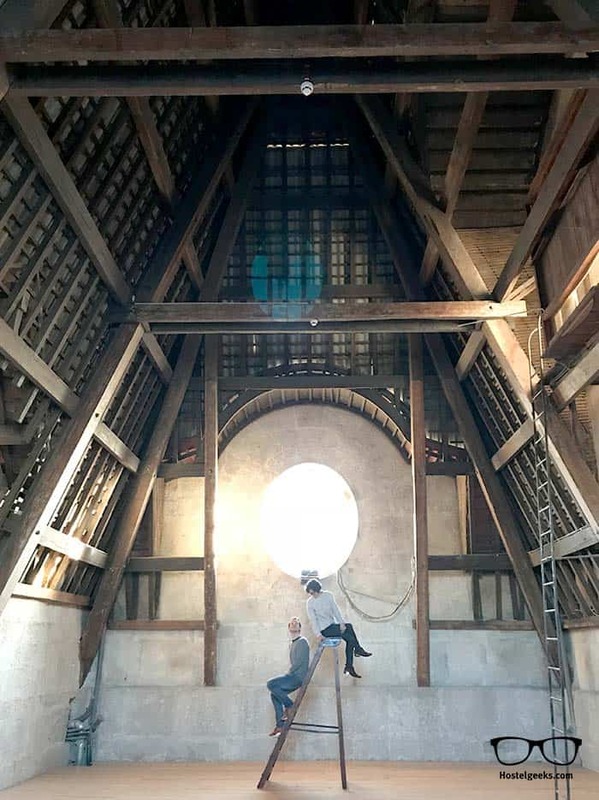 The original interior structure was kept. So today, the dorms and all rooms feature beautifully high ceilings. The hallway have this kind of cinderella-feeling. See more photos and details of The Passenger Hostel. Summary: What can we learn from all this? I don’t know about you, but I am really wowed with these hostels architecture. My sister is an architect and I had no passion on this topic until a while ago. The building itself can make a big difference. As you may have noticed, a lot of these places were abandoned. Places, nobody wanted anymore. Today, they are home to hundreds and thousands of travelers. 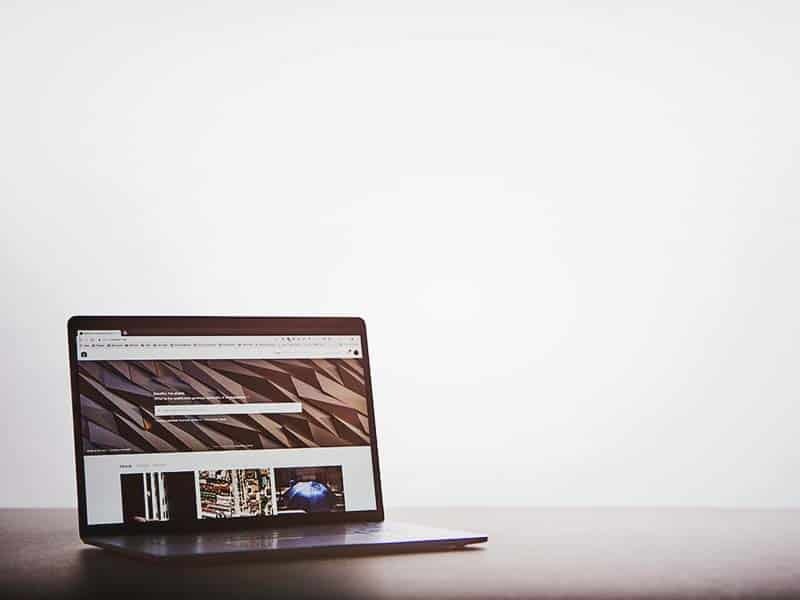 Make sure you select an interesting, great location. Why? It is most likely the only thing you cannot change afterwards. 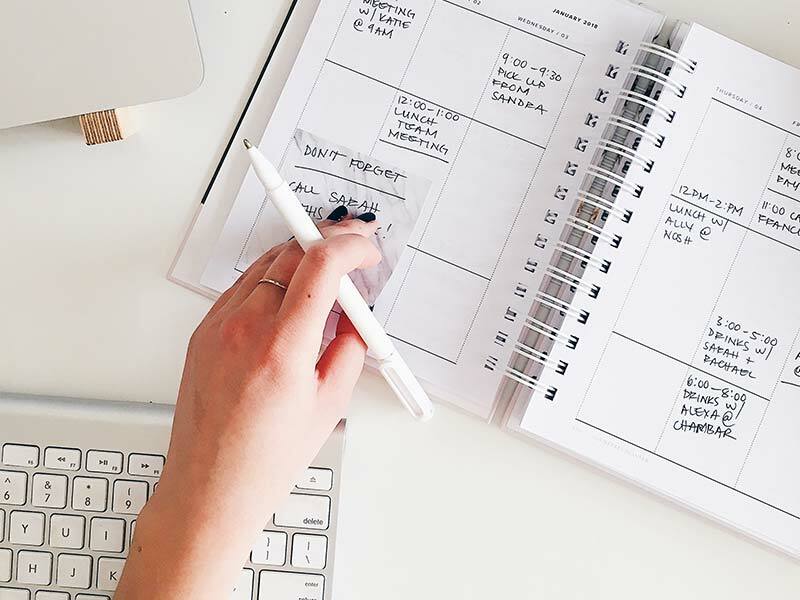 What do you think of this list? Did I miss anything, would you like to add any outstanding building of hostels? Please leave a comment below, I would be thrilled to hear your perspective on this.